Kindness is being kind without expectation. Yes, that is the phrase I have been looking. This year, 2017 we, Kindness Malaysia are planning to penetrate schools and promote kindness. 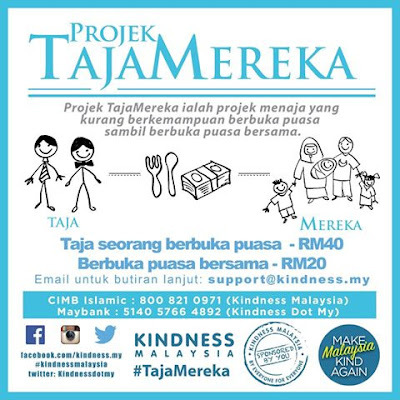 The first phase is to come out with a kindness motivational programme for the children. “Melentur buluh biar dari rebungnya”, a Malay proverb that emphasize on teaching goods when they are young. We plan kindness modules for the children. One of the modules is an elevator pitch. What if a person standing with you in an elevator and saw you wearing a Kindness Malaysia shirt and ask, “What is Kindness Malaysia?” or “What is Kindness?” You have only 10 seconds to explain before that person goes out of the elevator. The founder of the World Kindness Movement, Michael Lloyd-White gave me this question during The World Kindness Movement Strategic Planning, 2016 and I was like, blur! I founded Kindness Malaysia but I don’t even have the perfect answer! And today, while I am writing this, and an idea went swift through my head. Kindness is being kind without expectation. Yes, that’s it! Expectation is what that ruins us. Expect nothing and we will never be disappointed. Sometimes we tend to be kind because we want something in return and yet we become frustrated when the return does not meet our expectations. This is the beauty of what our beloved Prophet Muhammad peace be upon him had taught us. 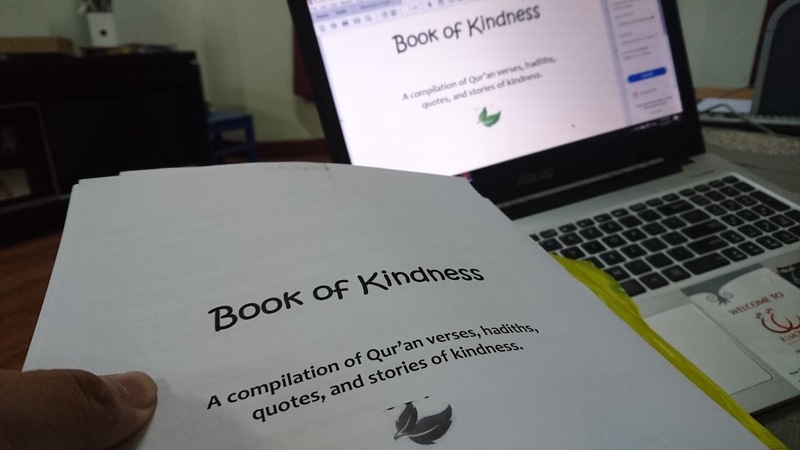 The Quran mentions his kind and gentle behavior in these words “O Messenger of Allah! It is a great Mercy of God that you are gentle and kind towards them; for, had you been harsh and hard-hearted, they would all have broken away from you” (Quran 3:159). The Prophet is the best kindness icon of all times. His kindness is what made people attracted to Islam. His kindness is what made Umar Al Khatab, previously was a fierce person known as the Lion of the Desert to embrace Islam. Be kind and expect nothing. Nothing in the world but only for reward of Here After. The reward from the almighty God. I hope to all the readers of this book, to continue to be inspired by the stories, quotes which I believe will help in a way for a person to be a kinder person. To be kind to everyone, regardless of their skin color, creed or even their background. May Allah bless the author and those who are reading it right now, amin.